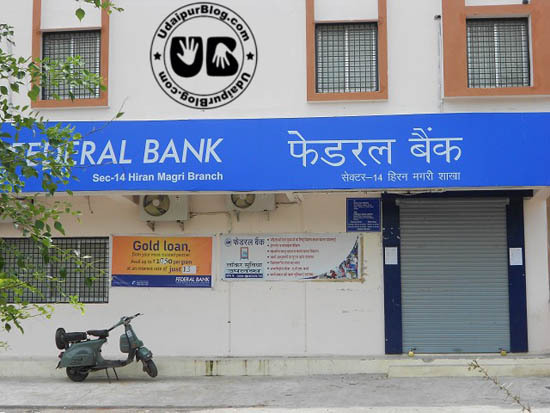 Today Udaipur witnessed an efficient bandh throughout the day after Udaipur Chamber of Commerce along with Bhartiya Janta Party took an initiative to support the Jan Lokpal bill and our national hero Anna Hazare and supported a bandh. 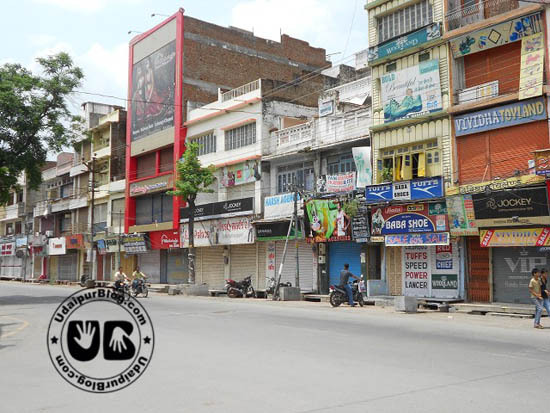 The bandh produced a powerful percussion against the government and the corrupt government officials. 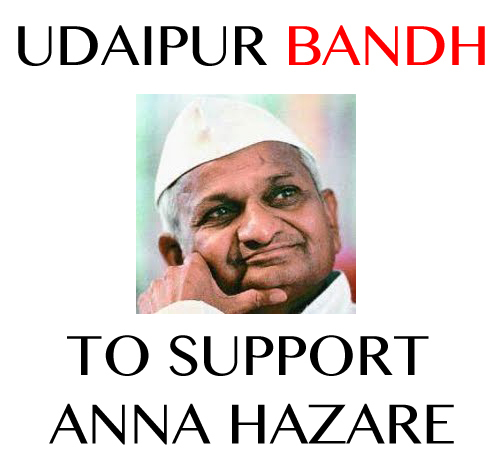 To uphold the noble cause of driving corruption out of our country, people of the city showed their support for Anna Hazare. One was easily able to sense the involvement of common masses in the protest while passing through the main markets of the city. Today the ever-swarming streets, markets and circles had an atypical silence in the air. 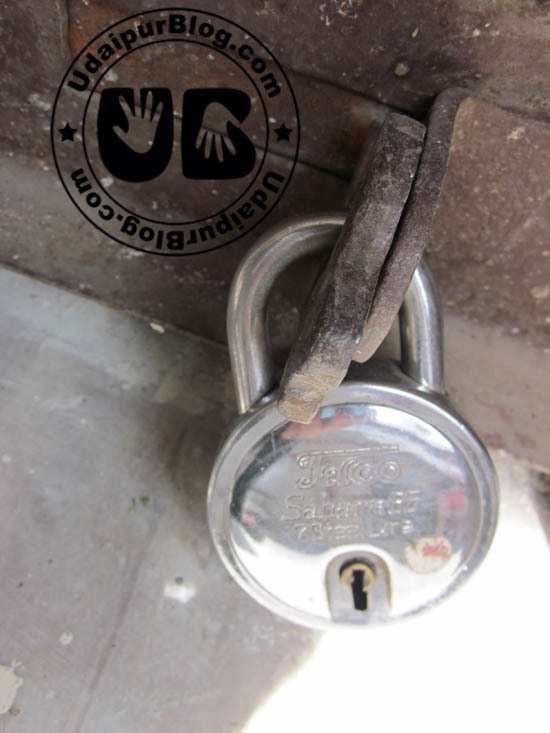 A number of schools, colleges, shops, business groups remain closed. But the emergency services were kept free from bandh. Agitation was felt on every face, be it a school student or a senior citizen, a college student or a businessman. 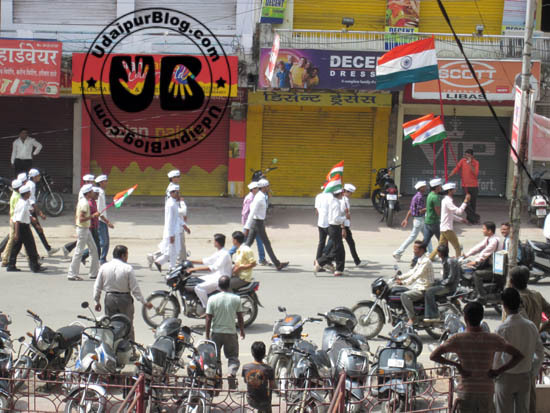 Many peaceful processions were taken out at different places with people holding banners high up in the air and shouting slogans like “ek do teen char, band karo ye attyachar” and “jab tak sooraj chand rahega, anna tera naam rahega”. Protests were held even in front of the “Collectorate”. Traffic was stopped at Surajpol and Delhi Gate. Udaipies also observed an half an hour silence at Fatehsagar and sustained the non-violent spirit of the protest. 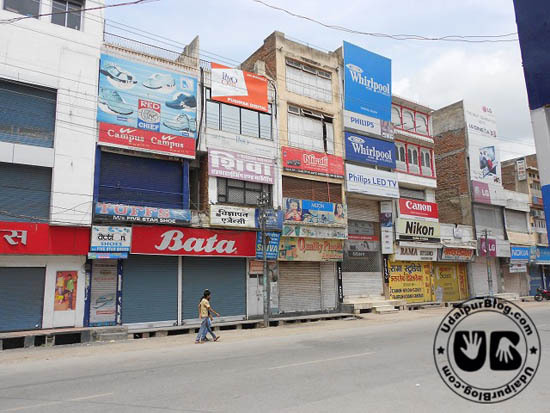 At a whole, the Udaipur Bandh received a powerful participation from public which showed that each and everyone is united with great leaders like Anna Hazare, Kejriwal, Kiran Bedi, etc. who are striving for providing a better future to every Indian. We all want to see India free of this virus named “Corruption”… Jai Hind!! ?????? ??? ??????? ?????? ?? ???? ??? ?? ??? ?????? ?? ??? ?? ?????? ???? – ?? ??????? ??? Anna did many achievements. I also count one, that, those people who did not like Gandhi ji previously, even they are comparing Anna with Gandhi ji, as Anna is following his path.